Elin Hyldeen Gartner (left) often meets her friends and also colleagues at Gretas, a hip cafe in the center of Stockholm for lunch. 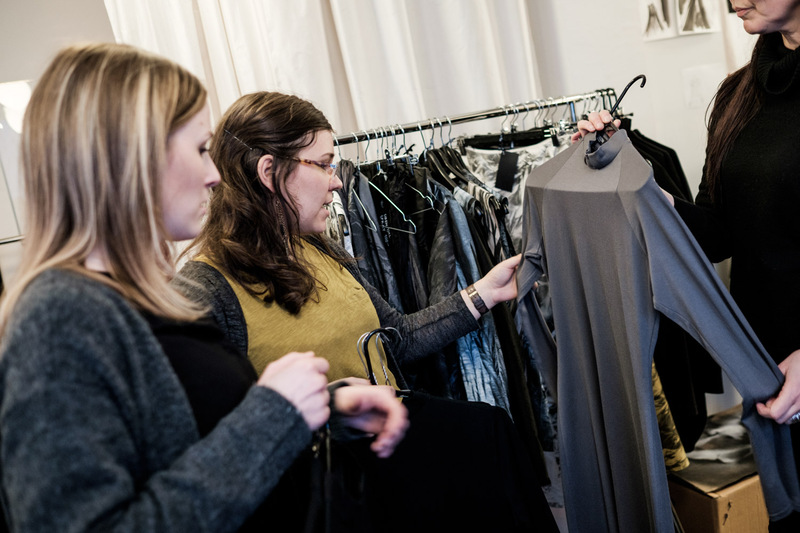 Anna Nordin and Evelina Gilberg, students at the Theology Institute of Uppsala, try on robes and shirts at the workshop of designer Maria Sjödin, who created the brand "Casual Priest" 15 years ago. 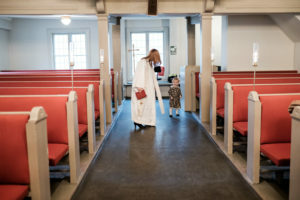 Evelina Gilberg, a student at the Theology Institute of Uppsala, try on robes and shirts at the workshop of designer Maria Sjödin, who created the brand "Casual Priest" 15 years ago. 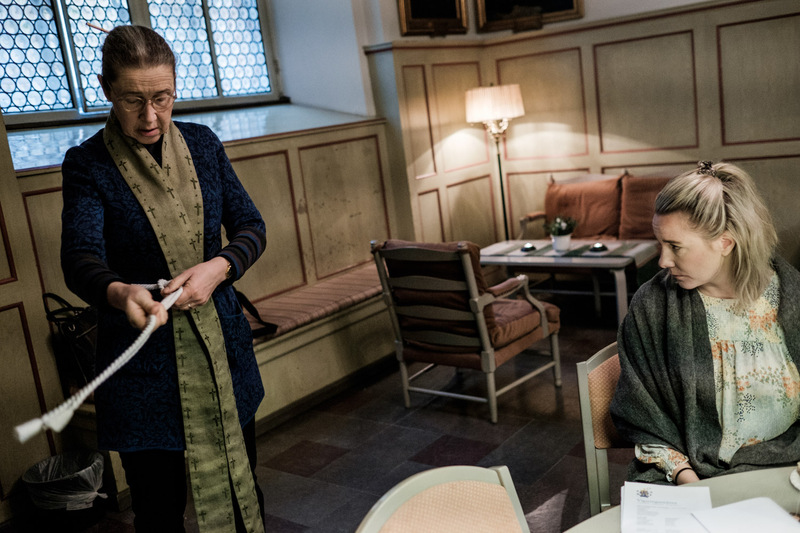 Anna Nordin, Evelina and Daniel Gilberg, students at the Theology Institute of Uppsala, try on robes and shirts at the workshop of designer Maria Sjödin. 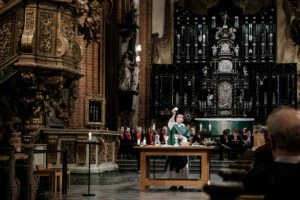 Sofia Backsten, a young 25 years old priest, during mass at Hammarby Sjöstad chapel, south of Stockholm. A reunion of the priests of Sofia Parish, in Södermalm, Stockholm. 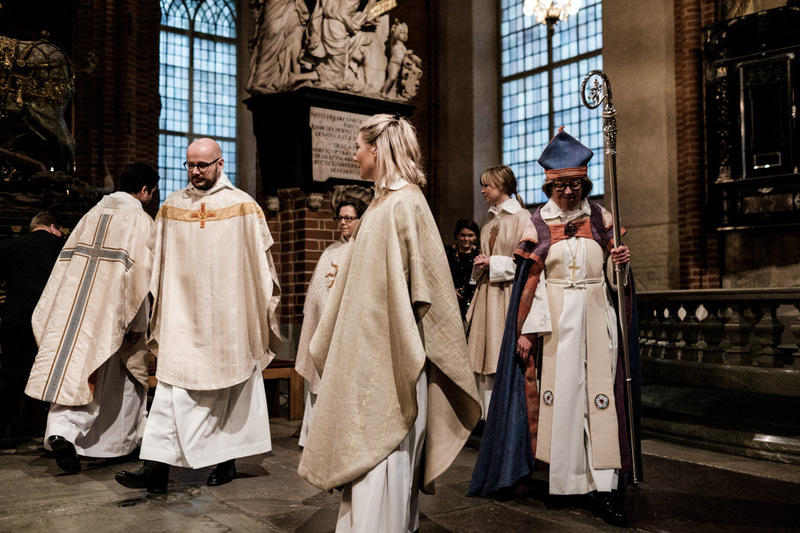 Kristina Ljunggren, chaplain of Stockholm's cathedral, shows how to knot the stole to Ida Mohlin, who will be ordained priest. Emelie Björling kisses her daughters before her ordination. 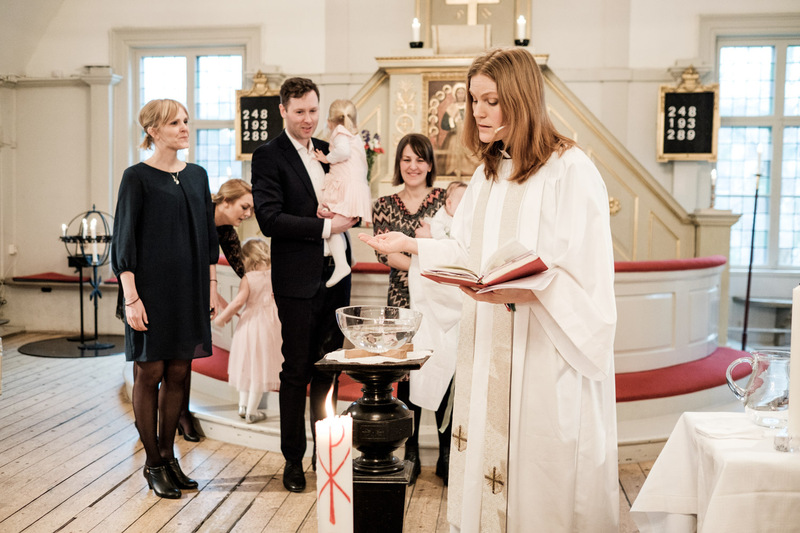 Karin Ohagen baptizes the son of a couple of her friends. 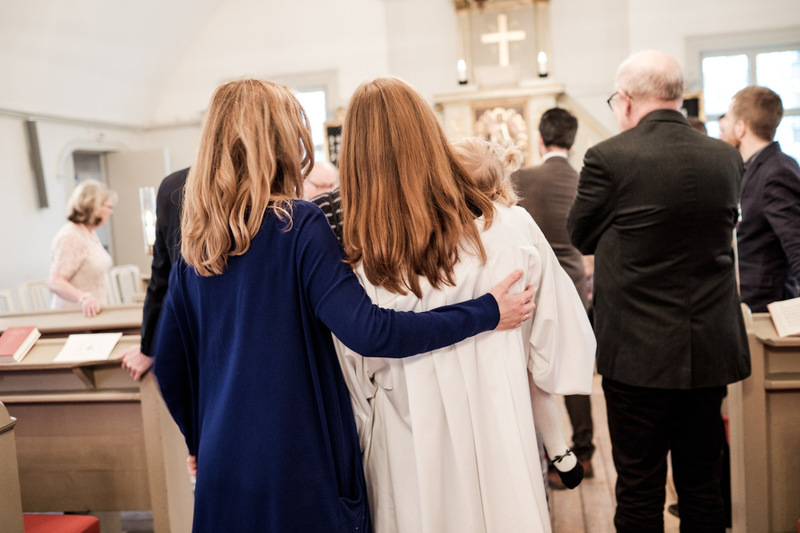 Karin Ohagen, her wife and their daughter, during the baptism of a couple of her friends' son. 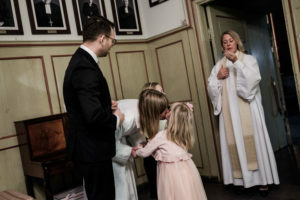 Karin Ohagen plays with her daughter, after the baptism of a couple of her friends' son. 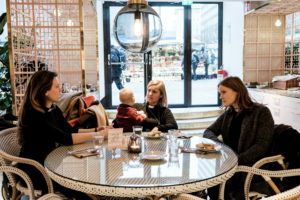 Karin Ohagen, her wife and their daughter go to lunch after the baptism. 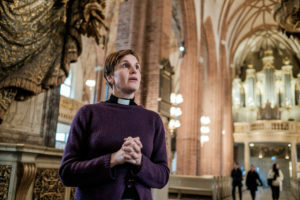 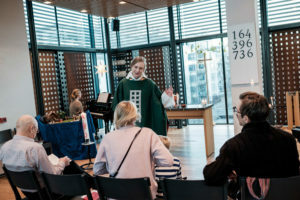 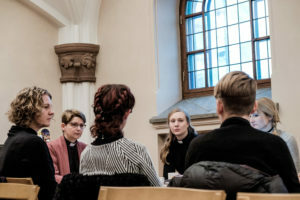 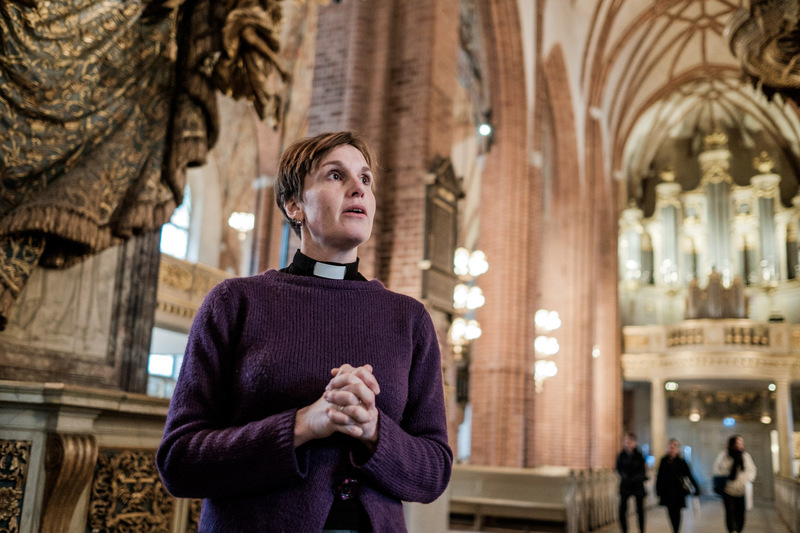 500 years after the Lutheran reformation, about half of the priests in Sweden are women, and if this tendency goes on, they will become a majority. 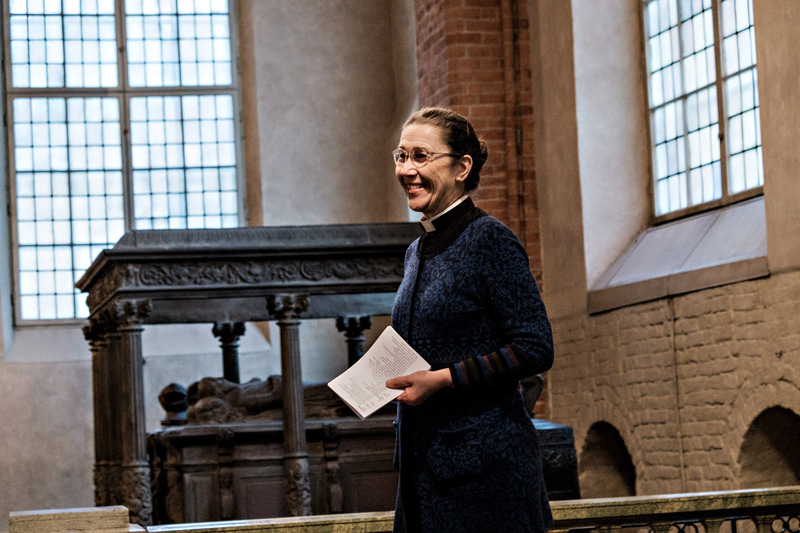 In a society famous for being one of the most equalitarian in the world, a woman is the Archbishop and has welcomed the pope Francis and it’s a lesbian woman who’s the bishop of the capital’s diocese. 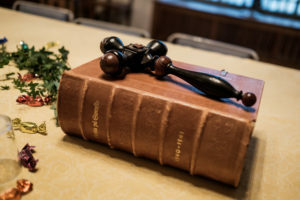 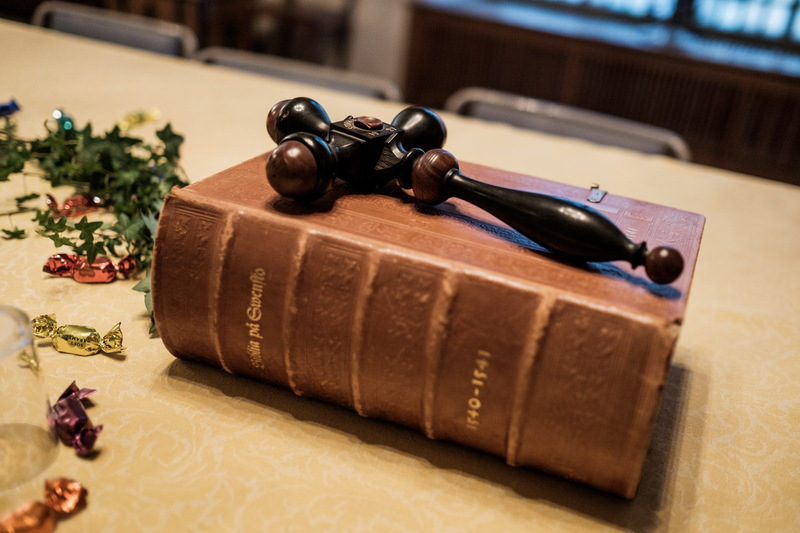 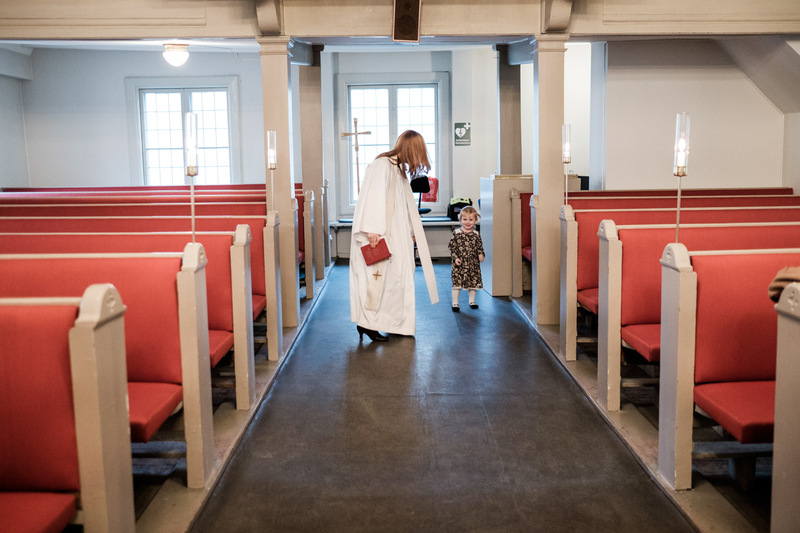 In 2018, it will be 60 years that the decision to ordain women was made. 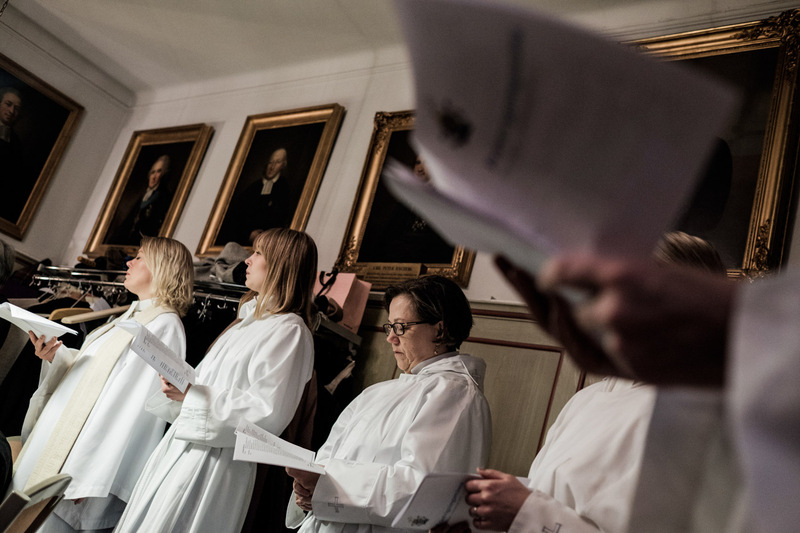 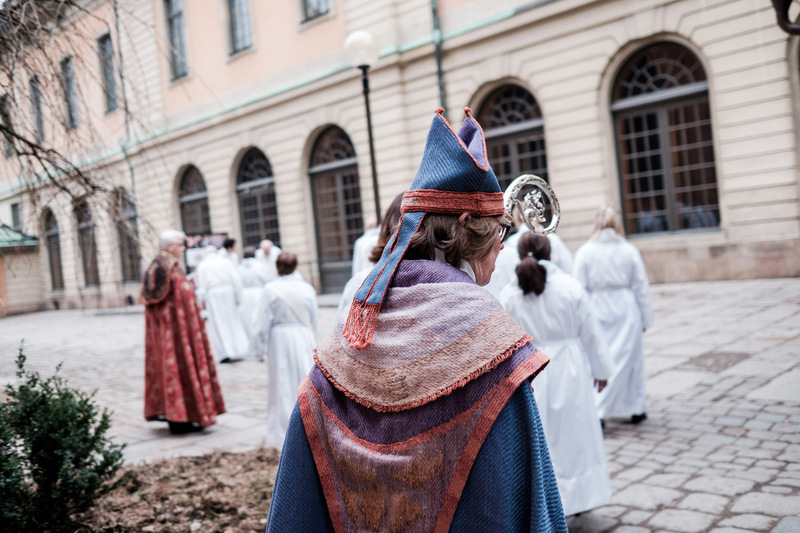 Since 1958, Sweden has evolved in many aspects, as has the place of the priests in society. 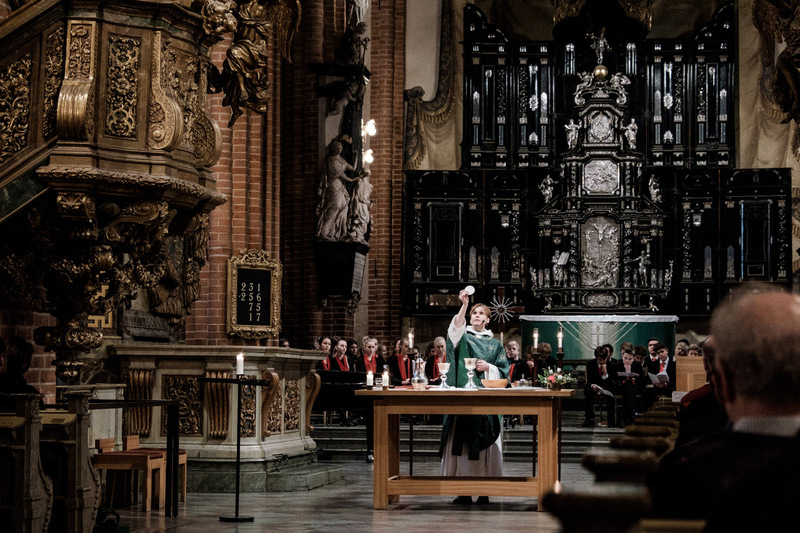 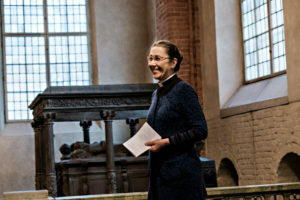 Did the role of the priest in Sweden change because more and more women answered the call, or is it that more women became priests because the profession and the image have evolved with society? 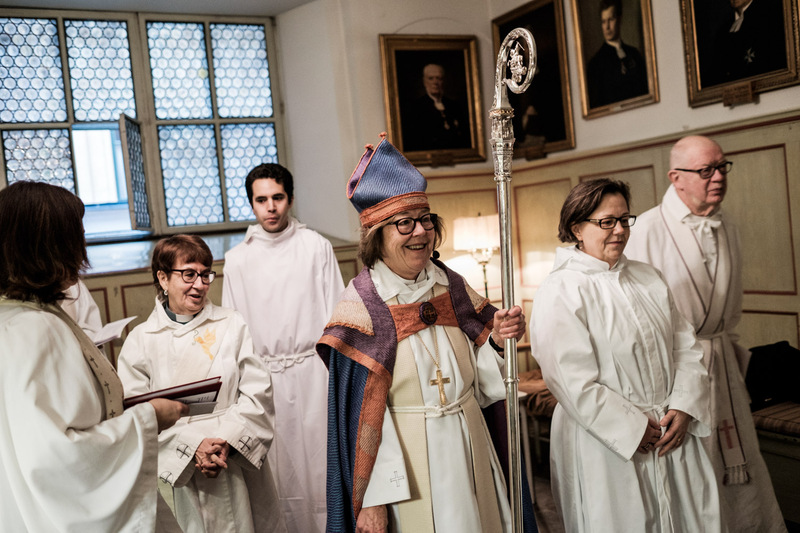 Stories | Tags: Church of Sweden, priest, religion, women.